Good Morning, finally painted, here is my Khorne Berzerker Squad. 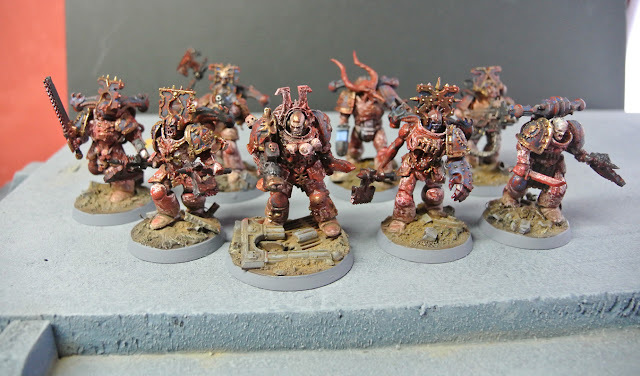 I just started with the wish to convert the Bloodwarriors from the AoS-box into 40k and then had to be tuned up to a squad of full eigth including Lord (eight being the magical number of Khorne of course). 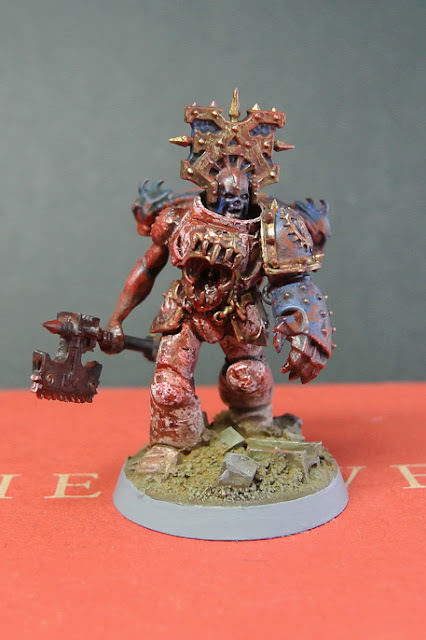 For the painting I wanted to go for an obviously bloody and dirty look; my Berzerkers hab no time to paint their armour, they just keep it soaked and encrusted with the remains of their victims. 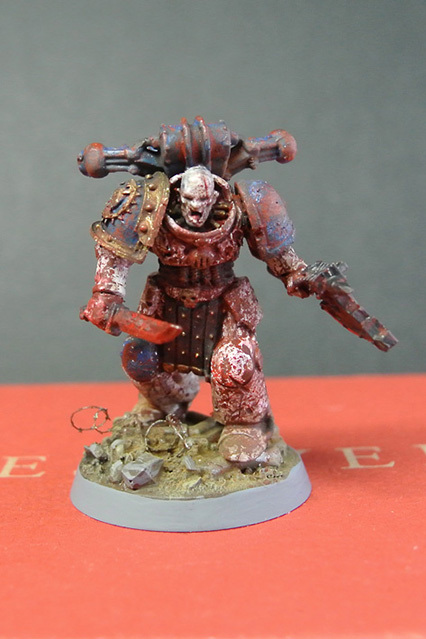 Actually it made me quite happy the way my plan, to use the hairspray-technique but with not a rusty but a blood-red undercoat, worked out well. 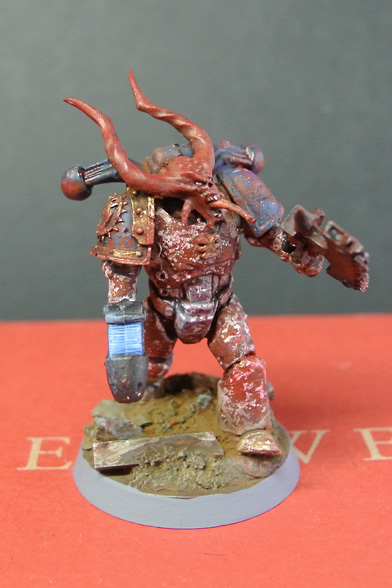 The chipping of the white-blue pre-heresy colors reveals the armours core wich has drunk all the blood and soaked its red. Over that come layers of new blood, dried and fresh. 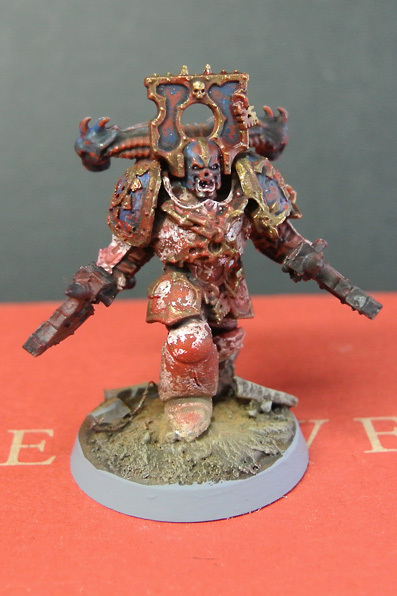 Blood for the blood god, I guess. 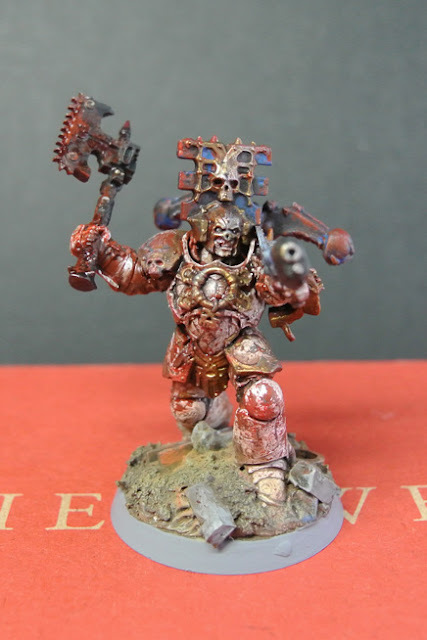 Next I will try a rhino for them (yeah, I am aware that Terminators do not fit, but they will probably never see the battlefield anyway. Just for the looks.) For further record: Yes! 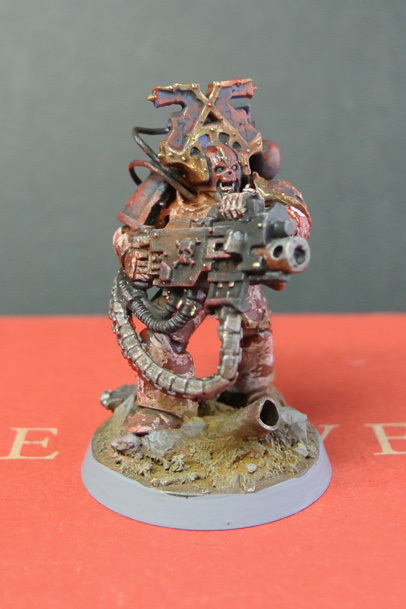 You can´t take heavy bolters for Berzerkers, but it does look neat, doesn´t it? Cheers! Soo geil. Und so stimmig. Dude I love these so much. How did you apply the hairspray technique? Did you use zenithal highlighting? Varnish? I used the hairspray-technique straight out of a tutorial. 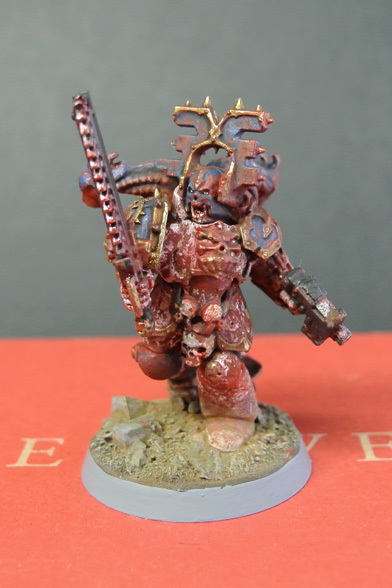 Undecoated the mini in red-brown, varnished it, applied hairspray, then the normal color. Used an old brush and hot water to attack the paint and let the undeneat shine through. 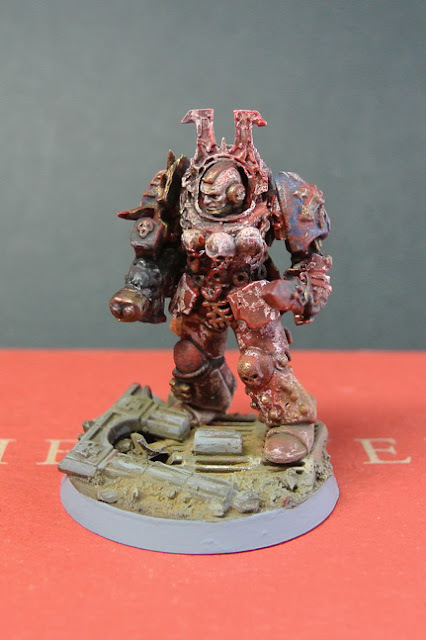 Afgter that dried, i used washes, etc to define and weather the whole thing.